KCC Egis defeated Goyang Orions to ensure the semifinal berth. KCC Egis looked well-organized offensively handing out 22 assists. 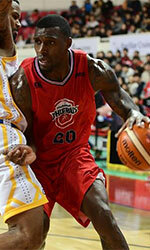 The former international forward Jung-Hyun Lee (191-87) fired 30 points and 5 rebounds for the winners. American point guard Marcus Keene (180-95, college: Cent Michigan, agency: Pensack Sports) chipped in 25 points and 9 assists. American power forward Darryl Monroe (201-86, college: GMU) produced a double-double by scoring 22 points, 16 rebounds and 9 assists and the former international forward Il-Young Heo (197-85) added 13 points and 5 rebounds respectively for lost side. Four KCC Egis and five Goyang Orions players scored in double figures. Both coaches used bench players which allowed the starters a little rest for the next games. KT Sonicboom claimed the second straight home win over LG Sakers to force the decider. Worth to mention a great performance of the former international forward Hongseok Yang (199-97) who helped to win the game recording a double-double by scoring 20 points and 10 rebounds. 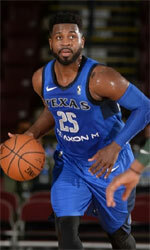 American point guard Justin Dentmon (183-85, college: Washington) contributed with 19 points and 6 rebounds for the winners. Four KT Sonicboom players scored in double figures. Central African-American power forward James Mays (205-86, college: Clemson) replied with a double-double by scoring 21 points and 18 rebounds and international center Jong-Kyu Kim (207-91) added 22 points and 5 rebounds in the effort for LG Sakers. LG Sakers' coach Young-Min Kim rotated ten players seeing no chance for a win.